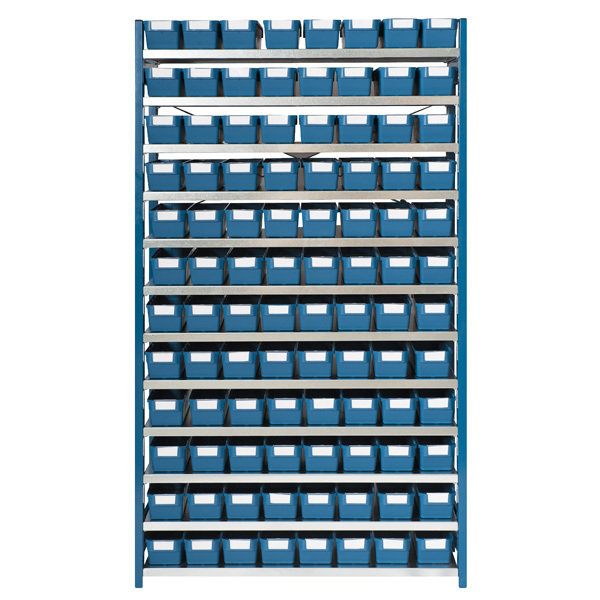 The DP range of Shelf Storage Bins, used with the DP Adjustable Boltless Shelving units, are ideal for the storage of small parts in a workshop, office, storeroom or industry. 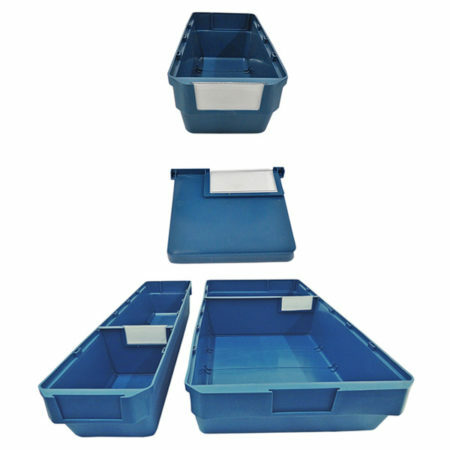 This compact system makes it the ideal spacesaver with ease of access in any environment. 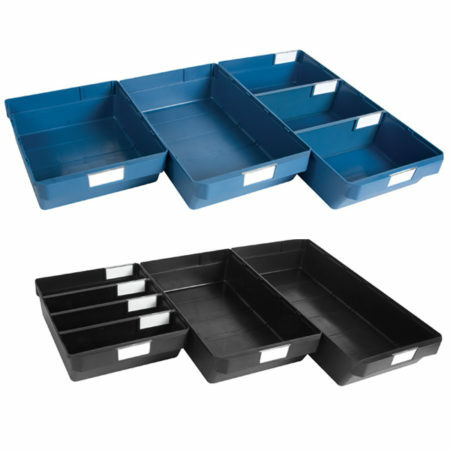 Inserts and dividers can be added to any bin, making the bins and system even more space efficient. Each bin has 2 label holders for identification. Each divider has the space for a label holder with a window to protect it. However these need to be purchased separately. Choose from the different size configurations to suit your needs and the available accessories to optimize the system for you. 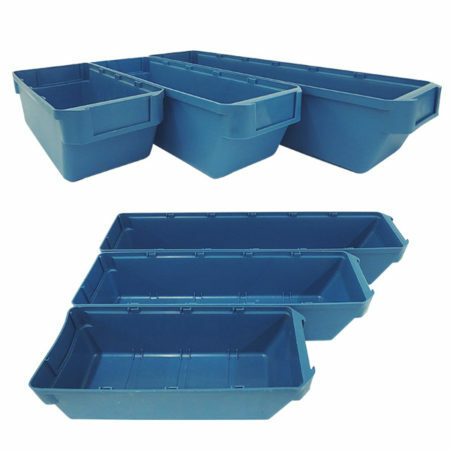 Standard Bin colours are Blue and Black however should you order more than 1000 units we can manufacture them in your chosen colour.